› Home › Green News › Ecoblog › Our oceans, our future! The “World Oceans Day” started with a Conference at the University Fishing and Aquaculture Institute IUPA in Dakar, Senegal with a participation of more than hundred students and of course our 3 champions, Fatou, Amadou and Babacar. Fatou, Amadou and Babacar, made a surprise: they performed a sketch they have written in order to alarm their fellow students about the negative impact of plastic pollution, see the video below. Thus, the conference was a very reach exchange of expertise and experiences on the pollution of our oceans and in particular on how to reduce or - even better – avoid it ! 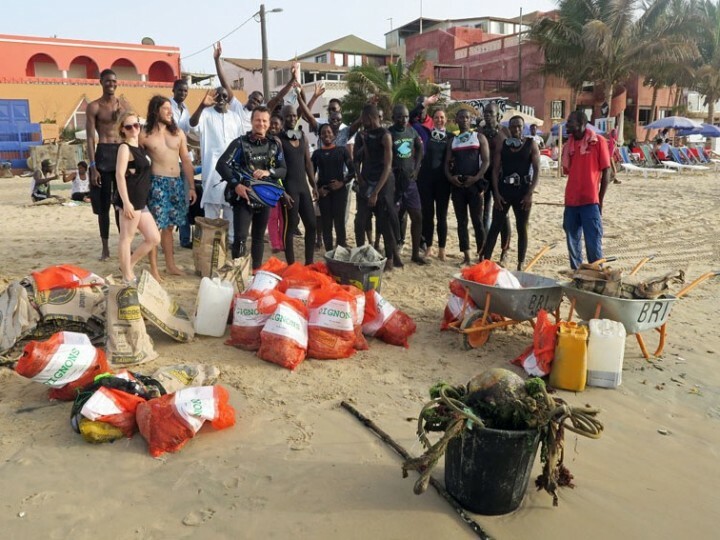 From 4 p.m. divers from the Barracuda Club Dakar, our 3 champions, Senegalese fire fighters, and surfers, BRI action and JFD, the N'Gor Island Surfcamp and "l'Amicale des amis de la baie de N'Gor", all together fifty volunteers came to the N’Gor bay in Dakar, Senegal, to clean-up of its beach and its underwater environment. 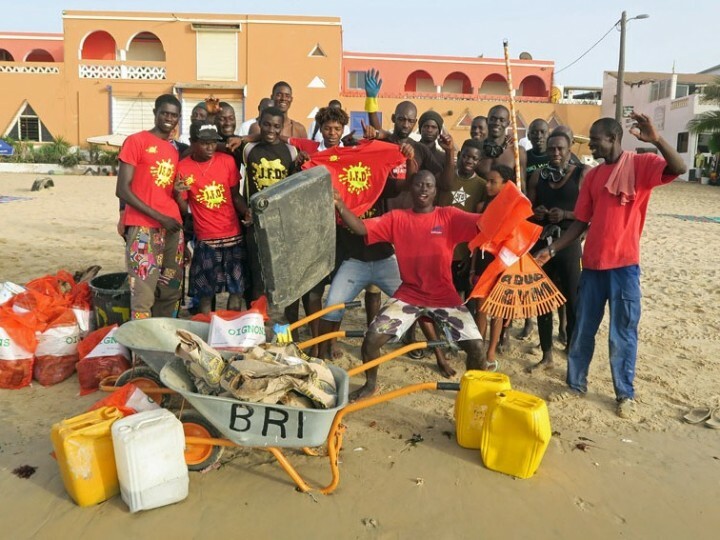 In less than 2 hours, 1 ton of garbage was collected, of which 300 kg on the beach and 650 kg under water !!! It was a perfect opportunity for our 3 champions from the IUPA, just certified divers, to participate in the cleaning and thus to demonstrate their engagement for the protection of our oceans. We are very curious to learn about the species they discovered, which intrigued or amazed them in particular during the diving training, as well as share their ideas on the ways which West Africa can strengthen protection of its oceans.